The first couple of storm systems will be moving through the Monterey Bay area this week and weekend. Thunderstorms can be expected along with strong, gusty winds from the south. By Saturday, we may see a mixed ocean swell forecast as big as 9 feet, with a 10-second interval. Big swells plus short interval equal nasty conditions. Lay some wind wave of 3-5 feet on top of that, and seafaring is mighty uncomfortable, even dangerous. Rain should continue off and on through Saturday, but a close look at the wind and wave patterns are most important for angler safety. Pull your crab pots on Monday after high seas have settled down. 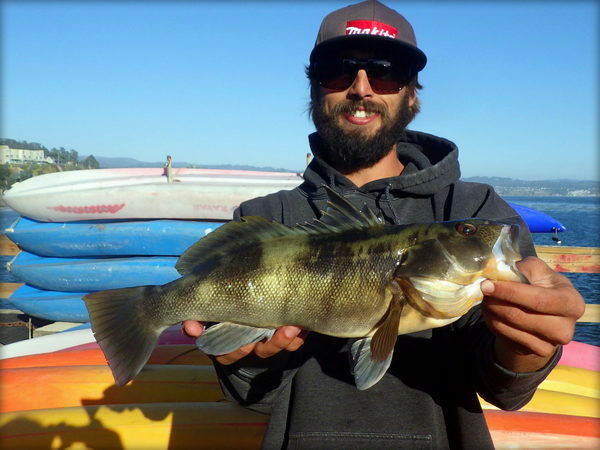 Hopefully, the storms will usher in winter-type conditions for anglers on the Monterey Bay. Halibut will move to deeper waters and rockfish become scarce. Conversely, lingcod move in shallow for the winter, and we can fish them until season closing on December 31. And of course, there’s always the Dungeness crab. Crabbing remains steady in our area. Points north, like Half Moon Bay and the areas near the Golden Gate seem to have a lot more pots brimming with the tasty crustaceans. Still, limits are not unusual on the Monterey Bay, and it only takes a few Dungies to host dinner for the entire family. 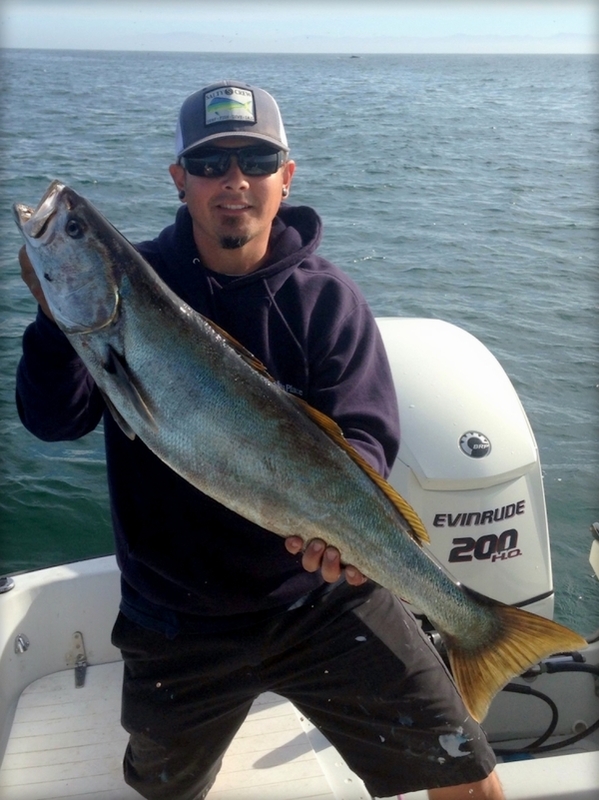 Chris’ Fishing Trips from Monterey sent the Check Mate out on Tuesday for a combo trip. They returned with a limit of 250 rockfish, and 67 Dungeness crab for the 25 anglers aboard. The Kahuna from Moss Landing squeaked in another full-day trip to the Point Lopez area, and scored big. Owner Carol Jones said, “"Captain Brian checked in on their way back from Lopez Point today with a great report. 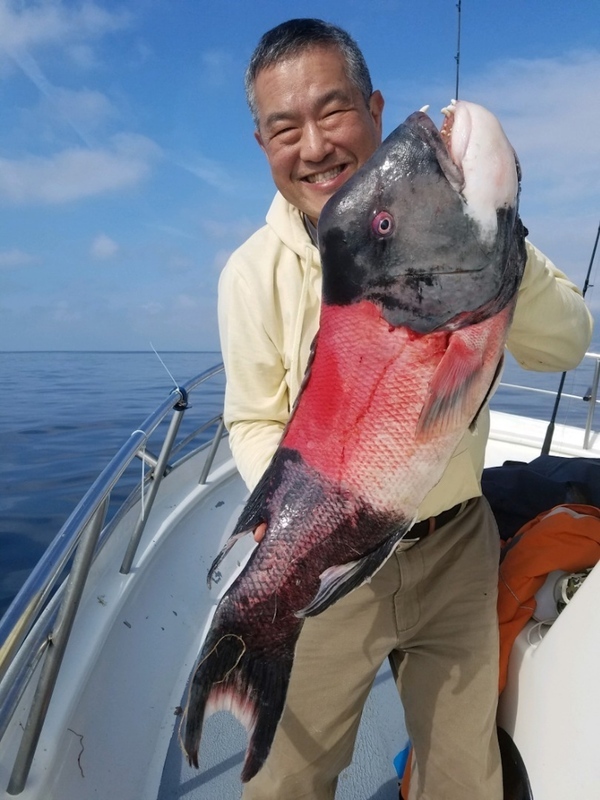 With the great weather anglers aboard the Kahuna landed limits of rockfish adding in two California sheepshead to 23 pounds and 36 lingcod to 20 pounds." Captain Tom Dolan aboard the Mega Bite is pulling in the crab, despite some evidence of pot-robbing in his crabbing area. Dolan says, “The crab pirates got into our crab gear again and didn’t leave us many crab but enough to go around a couple times. Ran up to Davenport where we’ve been getting in some good fishing action and the fish were waiting for us! We went to town pulling in fish non-stop. Came home with limits of blue, olive, canary, brown and red pacific snapper. Storm coming in tonight so taking a few days off the water. Happy Thanksgiving to everyone!